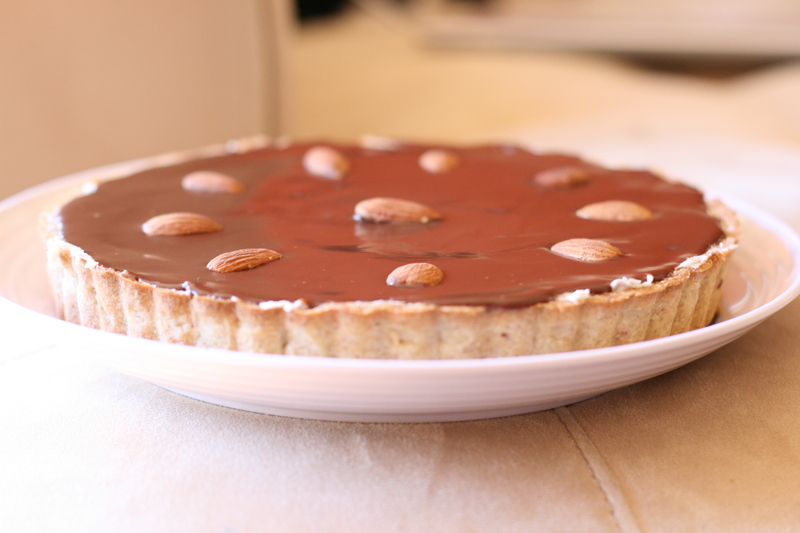 This week’s bake-along is the Almond Joy Tartelettes. I don’t have 6 mini-tart pans, so I made one large tart. I had both excess dough and filling, and just a little ganache. To see the recipe and other participants, click here! The dough was quite easy to work with, and it smelled lovely while it baked. Coconut has grown on me, but it’s not my first love. BabyHope wanted to lick the filling bowl clean and has been asking when the “brownies” are going to be ready. I haven’t tried the assembled tart, yet, but I think it will be good! ~ by Larisa on January 2, 2011. How could you have resisted trying the tart immediately? It looks sooooo good! love the look of yours! The large tart looks wonderful! The large tart looks wonderful! I thought it was quite an easy dessert to make as well. Great minds think alike-I like the large tart too-yours turned out beautifully..I’ve been reading all your posts and just wanted to say I keep you in my prayers.